Welcome to the 10th edition of the Carnival of Irish Heritage & Culture - our 1st anniversary edition! If you've been a contributor to the carnival over the past year, thank you for sharing your appreciation for Ireland and the Irish with all of us. If you are a reader, thank you for visiting and being part of the fun. Without any further ado, let's get on with this 10th edition of the carnival. This time we have a special focus on the aspects of Irish culture and tradition that are beloved to each of us. We'll start our focus on Irish culture with a look at Irish literature. According to William Morgan, Ireland "has produced so many great writers over so many generations whose works both transcend time and push the boundaries of the written word as an artform." Visit William's post For the love of Ireland posted at The sock in the dryer for a list of the Irish literary "geniuses" whose work he admires. Bill West of West in New England shares with us his "first love of Irish culture": the mythology of Ireland. In his Irish Myths Bill introduces us to a few of his favorites. According to this self-proclaimed lover of the mythology of many cultures, "The Irish epic myths are beautifully lyrical works and reflect, I think, that love of language that runs through all of Irish literature and song." Speaking of Irish song, visit Tipper's Blind Pig & The Acorn for a little history lesson on the Irish favorite O Danny Boy. She says, "When I think of the longevity of the song, it seems fitting that O Danny Boy started in Ireland hundreds of years ago, came to America, went to England and then on to the world." Visit her blog to see why she feels this Irish song appeals to so many people worldwide. With ancestry from counties Kilkenny, Longford, Meath and Tyrone, Kathy Brady-Blake has plenty of Irish heritage in her genes. It's no wonder that she discovered a love for Celtic music. Visit her article For the Love of Ireland at Kathy's Genealogy Blog to read about the wide variety of Irish music that she enjoys and a specific annual opportunity for other Irish music fans in Milwaukee. Speaking of Irish musicians, Kate of Kate's Family Tree shares one of her favorite songs with us via music video performed by two modern Irish rock musicians. Visit Carnival of Irish Heritage and Culture, 10th Edition for her submission to our carnival. Those of us that love Celtic music can't help but tap our toes to the sound of it. Take that a few steps further, and you find yourself trying your hand an Irish jig. My family has taken Irish dance seriously - we truly love the dance of Ireland as it has evolved into its modern day form. Visit my article Irish dance: "The merry love the fiddle..." here at Small-leaved Shamrock for a look at one of my favorite aspects of Irish culture and a peek at a book I've created for young dancers. For this edition of the Carnival of Irish Heritage & Culture, Apple gives us an introduction to beautiful Irish linen. She has presented a thorough guide to this beloved type of traditional Irish craft that has been handed down through the centuries. Read the article about Irish Linen posted at Apple's Tree for more about this beautiful treasure of Ireland, including some links, images and Apple's favorite Irish proverb (her first project done on Irish linen). Two well-known Irish symbols are the focus of Elizabeth O'Neal's For the Love of Crosses and Claddaghs. She says, “Call me corny, but my two favorite Irish symbols are the Claddagh and the Celtic cross.” Many of us would have to agree with you, Elizabeth. Visit Little Bytes of Life for a personal look at these beloved symbols and some background on the history and meaning of each. Kathryn of The Kahumoku Ohana made a list of the top fourteen things she loves about Irish culture for her first submission to the Carnival of Irish Heritage & Culture. 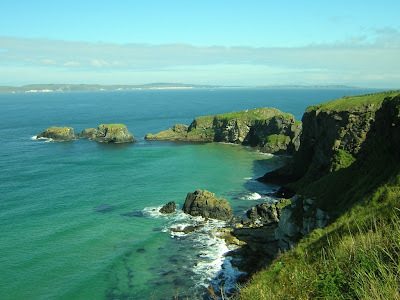 Visit her post For The Love Of Ireland for her favorites, which include traditional items such as Irish soda bread and Yeats' poetry, but also Irish peat and banshees! Dorene Paul of the Sandusky, Ohio Library shares with us the stories of several individuals with Irish heritage. In The Irish in Erie County posted at Sandusky History she tells us the story of some of her local area's more famous Irish residents and the impact they each had on Sandusky. Dorene says, "While this entry is about the Irish who resided in Erie County, I recall the stories of folks telling stories and getting a bit intoxicated at the wake, following the death of a loved one." In pondering the aspects of Irish culture that she loves, Colleen Johnson, a descendant of fairly recent Irish immigrants and one who has traveled to visit her cousins who remain there, asked herself, "What don't I love about the Irish culture?" 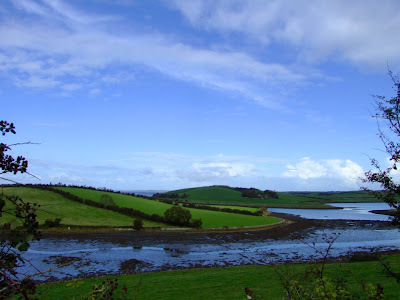 Read For the Love of Ireland posted at Colleen's blog for more about her appreciation of the friendliness of the Irish people, their love for storytelling (even when asked to give directions), and the way that "heritage and religion mesh and become one". As Colleen writes, "With a wave and a smile, travel through Ireland and you will never be far from one." I know that our contributors have only touched on a few of the many aspects of Irish culture that are loved by people the world over. Thanks for reading this 10th edition of the Carnival of Irish Heritage & Culture. For information about the upcoming 11th edition, please visit the Carnival of Irish Heritage & Culture blog for details about the upcoming topic: My key to Ireland. Images of Ireland courtesy of Jordan McClements. Irish culture! A great post! It is so nice to look into our cultures and keep up with the traditions. This is something that nobody can't take away from us.